Almost every employee experiences a temporary or extended illness, the birth of a child, or caregiving responsibilities for a sick family member, forcing the employee to take time off from work. However, the United States remains the only industrialized economy in the world that does not guarantee paid leave for new mothers or a paid sick leave standard, and one of a handful that does not guarantee leave for new fathers. While the Family and Medical Leave Act (FMLA) of 1993 was a necessary first step in helping individuals balance work and family demands, the law only guarantees unpaid leave and covers only those employees working full-time and for large employers. This policy leaves many working Americans without coverage and puts those taking unpaid leave at financial risk. As a result, states have started to enact their own family and medical leave policies. Today, three states, California, New Jersey, and Rhode Island, provide businesses and employees access to paid family and medical leave programs. Additionally, in 2015, twenty-three states and the District of Columbia introduced one or more paid leave proposals during legislative sessions in 2015. In the last of our three-part report series on paid leave, we propose a family and medical leave policy for the state of Montana. [i] The Montana policy would establish a self-funded insurance program administered by the state, ensuring that nearly every Montana worker receives access to paid leave when he or she needs time off for family or medical reasons. The policy’s benefit structure will ensure that the program is a viable option for low-wage workers. Through the use of a similar benefit and contribution structure as unemployment insurance, the state can minimize administrative costs. Finally, as a statewide insurance program, it would be an affordable solution for both workers and employers. Outside of the four states that have enacted paid family and medical leave programs, few employers voluntarily provide paid family and medical leave. Without a national solution to provide these benefits, most working Americans have no access to paid family or medical leave. Additionally, some workers may be able to cobble together benefits, like sick and vacation leave and disability insurance to make ends meet when they need to take time off. Only 13 percent of American workers have access to paid family leave and less than 40 percent of employees have access to short-term medical leave through their employers, forcing many workers to take time off without pay and some to leave the workforce altogether. Unfortunately, low-wage workers are disproportionately affected by the lack of paid leave polices in the country. In 2014, 76 percent of low-wage workers in the private sector did not have access to any type of paid sick or paid family leave. The lack of paid leave limits workers’ ability to take time off to care for themselves or their loved ones. Further, many low-income workers who take unpaid leave risk falling deeper into poverty or facing repercussions when they return to work. In 2014, 13,000 Montana parents - that could potentially benefit from paid leave - faced up to $45 million in lost wages due to unpaid leave. Both employers and their workers pay the price when paid leave benefits are not available. Workers lose wages during unpaid leave, which impacts consumer spending and the economy. or example, in 2014, an estimated 13,000 Montana workers became parents. These parents, who would benefit from a state program, faced potential lost wages equaling about $45 million because of unpaid parental leave. When these parents and their families lose out on weekly earnings during leave, they contribute less to local businesses, which impacts the state economy because they simply do not have the cash to purchase the same level of household necessities they could when they were working or if they received wage replacement during leave. A statewide paid leave program would create an insurance pool that would be used to partially cover the wages of Montana workers who take time off for the following reasons: (1) following the birth, adoption, or foster placement of a child; (2) to care for a family member experiencing a serious health condition; and (3) to care for one’s own serious injury or illness. In 2017, we estimate that workers across Montana would receive $74 million worth of medical and family leave benefits, fully paid for through contributions into the insurance fund. To finance the program, employees and employers would share contributions totaling less than half of one percent (0.459) of total wages in 2017 [see Table 2 for details]. To provide the greatest economic benefit to the state, our estimates are based on a program where the vast majority of working families will be eligible. To qualify for the program, employees would be required to have worked at least 680 hours in the previous 12 months before filing for medical or family leave. This eligibility feature is modeled after the state of Washington’s law and ensures those who work less than part-time (approximately 13 hours per week) or change jobs throughout the year will still be covered by the program. We estimate that in 2017, the program would cover 95 percent of Montana’s employed population (over 442,000 workers). Based on usage rates in states with paid leave programs like California and New Jersey, and factoring in demographics in Montana, we project that 12,300 individuals would access the program to recover from their own serious health conditions, including non-work related injuries, and 3,200 people would access the program to bond with a new child or care for an ill family member during the program’s first year. An affordable paid leave program is a viable option for low-wage workers. Leave Duration: Workers receive up to 12 weeks of paid leave. Eligibility: Individuals must work at least 680 hours in the past 12 months before applying. Financing: Contributions into the program are shared between employers and employees and amount to less than half of one percent of annual earnings. Taxable Wage Base: Workers and employers pay premiums on annual earnings up to $82,500. Earnings above this threshold are not subject to further taxation. Wage Replacement: Workers receive 100 percent wage replacement up to the first $21,500 earned (half of the annual mean wage), and 50 percent wage replacement thereafter, up to a $1,000 maximum weekly benefit. Finally, the state program would have a unique benefit structure that ensures that the program is a viable option for all Montana workers. To date, California, New Jersey, Rhode Island, and New York have enacted paid leave programs that replace between 55 percent and 66 percent of a worker’s weekly wage during leave. However, low-wage workers need more than two-thirds of their weekly earnings to make ends meet during leave. Research suggests that states with paid leave programs offering benefits set at a flat percentage of earnings experience lower use among low-wage workers because they cannot afford reduced income during leave. For example, low-income workers using California’s paid family leave program have remained the smallest proportion of claimants across income since the program began in 2004. And while use among low-income workers in California has steadily decreased over time, use among high-income earners has nearly doubled since 2005. Similarly, research reviewing Rhode Island’s new paid family and medical leave program found that in the program’s first year, half of program recipients did not take the full four weeks of available paid leave because they could not afford the loss of income (workers in Rhode Island receive approximately 60 percent of their wages during leave). While a flat wage replacement rate of 66 percent of wages may be sufficient for middle-and high-income earners, low-wage workers need to receive every dollar earned in order to afford basic needs during leave. By providing graduated weekly benefits based on earnings, Montana can help ensure that low-wage workers are able to make ends meet during leave and also increase the likelihood that these individuals will use the program when they need family or medical leave. In Montana, wage replacement rates would be based on income, depending on where a worker’s annual earnings fell relative to the annual mean wage (the average wage earned by all employees in the state in a given year). Individuals would receive 100 percent wage replacement up to the first $21,500 earned (50 percent of the annual mean wage), and 50 percent wage replacement thereafter, up to a $1,000 maximum weekly benefit. An individual earning $21,500 annually would receive a weekly benefit $413. Under California’s program, this individual would only receive 55 percent of their weekly wage ($227 per week), making it difficult to cover expenses like groceries, rent, and utilities during leave. For individuals earning more than half of the annual mean wage, wage replacement rates would scale down as income levels rise. Table 1 shows the wage replacement rates and associated benefits workers would receive each week during leave, and the number of workers eligible at certain income levels. Individuals earning more than $82,500 would receive a maximum weekly benefit of $1,000. Estimates suggest that in 2017, the average weekly benefit for individuals receiving family or medical leave would equal about $571. Table 1 – Graduated weekly benefits help all workers remain financially stable during leave. 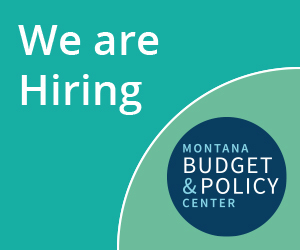 Enacting a Montana program is affordable for employees and employers in the state. Like family leave programs in California, New Jersey, and Rhode Island, and New York, Montana employers and employees would contribute payroll taxes (a small portion of each paycheck) into a state insurance fund, used to provide medical and family leave benefit payouts. In 2017, shared contributions between employees and employers would provide a total of $74 million worth of benefits to workers across the state who otherwise may not receive employer-paid benefits or be able to afford private insurance to cover leave for family and medical reasons. The combined contributions between employers and employees into the program would equate to less than half of one percent (0.459 percent) of total wages. If contributions were shared equally between an employee and an employer, each would contribute 0.229 percent of annual wages into the program. For an individual earning $40,000 a year, the worker would contribute $7.63 per month into the insurance pool (less than $2.00 per week), and their employer would contribute this same amount. With contributions set at less than half of one percent of total wages, contributions would generate $79.2 million to cover benefit payouts and administrative costs (Table 2). In order to fund a statewide program, a taxable wage base would be set at $82,500, limiting the amount that employers and employees would contribute into the program and the maximum weekly benefits available to workers during leave. This means that worker and employer contributions would apply to the first $82,500 of annual earnings, and the contributions would not increase further if earnings surpass this threshold. Assuming shared contributions between employers and employees, an individual earning $82,500 or more annually would never contribute more than $16 a month into the insurance pool. Additionally, because of the taxable wage base, workers’ weekly benefits would be capped at a maximum of $1,000. Table 2: Employers & Employees share contributions totaling less than a half of one percent of earnings. Programs like Social Security set taxable wage bases to ensure those who need benefits the most have access to benefits when they participate in the program. Without a taxable wage base, high-wage individuals would contribute into the insurance pool based on their entire earned income and could potentially claim large benefit amounts during leave, leaving less for low-and-moderate income individuals to live on when they participate in the program. Based on estimates from our model, enacting a statewide paid family and medical leave program is a viable and affordable option for workers in the state. When workers have access to paid leave, they have the opportunity to balance work and home responsibilities. Today, for many families, it’s an economic imperative that both parents work. These parents should not be forced to choose between work and family. Whether they need to take time off around the birth of a child, to care for an ailing parent, or recover from their own serious injury or illness, these individuals must be able to continue paying the bills and putting food on the table during leave. Access to a paid family and medical leave program would ensure that employees, even those working less than part-time, have changed jobs throughout the year, or are earning low-wages have the opportunity to take paid leave and can financially sustain their households during these periods. Because the program would be established as a statewide insurance program funded through employee-paid contributions, businesses will not incur any direct cost to implementing and running the program. Also, with a statewide paid family and medical leave program, businesses that currently provide benefits like family, medical, and disability benefits for their workers may supplement these employer-paid benefits with the new program, which could reduce business expenses. Or for employers, especially small businesses, that do not have comprehensive employee-benefit packages and struggled to compete with large businesses that do, a statewide paid leave program will enable these businesses to provide benefits and compete with larger employers in the state, all at no direct cost. Once enacted, employers across the state will be in a better position to recruit and retain workers. As Montana’s workforce continues to age and more and more baby boomers leave their jobs to retire, not enough young and skilled individuals will enter the job market and fill these vacancies, slowing job growth over the next ten years. Now is the time to ensure that businesses have the policies in place that will make them competitive in a modern economy and able to attract and retain skilled workers so that our state remains strong, despite this shortage. The maximum duration of leave provided to workers. The wage replacement rate based on income. The taxable wage base and maximum weekly benefit. Sample weights for respondents with positive wages or who worked at least 680 hours. These four variables were used to determine how many workers in Montana the program would cover, the average weekly benefit workers would receive during leave, and weekly wage replacement rates based on income categories. These variables were used to generate the hourly wage, weekly wage, and hours worked per year for each survey respondent in the PUMS data set in order to determine total program coverage. Individuals with an annual wage of less than $1 were removed from the sample as well as those who worked less than 680 hours in the past year. However, workers who were currently unemployed but reported working at least 680 in the previous year were included to account for the total potential eligible population. After cleaning, the total sample size in the dataset was 4,862 survey respondents. Since the PUMS dataset was from 2013 (the most recent ACS PUMS dataset available), we had to adjust wage and employment statistics for each survey respondent to reflect what the expected wages and employment numbers will be in the first year of the program. The average median hourly wage of Montana workers between 2011 and 2014 was used to estimate wage growth between 2013 and 2017. Additionally, recent projections from Montana’s Department of Labor and Industry estimate employment growth of 1.6 percent in both 2015 and 2016 and slowing growth of 1.1 percent between 2017 and 2024. These projections were used to estimate the population of total Montanans employed in 2017. After calculating the eligible population, the annual earnings of each survey respondent were used to determine wage replacement rates. Wage replacement rates were based on the annual mean wage (AMW), a state-specific measure collected by the Montana Department of Labor and Industry and reflecting individual wages in Montana. Determining weekly wage replacement rates based on the AMW automatically adjusts for inflation and will ensure that benefits remain commensurate with workers’ earnings over time. To estimate how many individuals in Montana’s eligible population would actually use medical and family leave benefits in 2017, we examined the take-up rates of temporary disability insurance (medical leave) and family leave insurance programs in California and New Jersey. The proposed program would cover the same qualifying events (leave to care for a family member or to recover from a serious illness etc.) that are covered under both California and New Jersey’s TDI and paid family leave programs. Therefore, take-up rates in these states give a reasonable estimate for how many individuals would use the program in its first year. It should be noted that after reviewing the family and medical leave take-up rates in California and New Jersey, we examined several demographic differences between these states and Montana and adjusted take-up rates to account for these differences. To estimate the take-up rate of those using the program for family leave, we averaged the first year take-up rates of paid family leave programs in California and New Jersey. The average between California and New Jersey suggests that less than one percent (0.79 percent) of the eligible population used family leave in those states in the first year. We then examined demographic differences to determine whether or not this 0.79 percent take-up rate was accurate for Montana. We found that in 2013, there were a greater proportion of women in the workforce who reported giving birth in the past 12 months in California and New Jersey than in Montana. Since there are a greater number of those women in California and New Jersey, the take-up rate of family leave in those states may be slightly higher than what it would be in Montana. Therefore, based on Montana-specific adjustments, we expect that actually about 0.73 percent of eligible individuals will use family leave in the programs first year, 2017. To estimate the take-up rate of those using the program for medical leave, we averaged the take-up rates of TDI programs in California and New Jersey during the years in which paid family leave was implemented. The average between California and New Jersey suggests that 3.28 percent of eligible Montana workers would take medical leave in 2017. Finally, we assume that the number of individuals using the program for medical and family leave insurance will increase over time as awareness of the program increases. And, because benefits are graduated for low-income workers (a feature that neither California nor New Jersey have), this may also increase awareness and participation. To estimate the growth in take-up rates for both medical and family leave, we use the average growth of take-up around family leave in California. Since California implemented its family leave insurance program on top of TDI in 2004, take-up of family leave claims have increased an average of 6.12 percent each year. Since there are only two full years of data in New Jersey (which provides only one year of growth), we use California’s take-up rate only. This growth rate is also applied to medical leave take-up rates in Montana. While participation in TDI programs actually began to slightly decrease after California and New Jersey implemented their family leave programs, we expect that as a new state program, both family and medical leave take-up rates will increase over time. The Montana program provides a maximum of 12 weeks worth of medical or family leave benefits for eligible employees. However, it is unlikely that most workers will take paid leave for the maximum duration. Further, despite concerns that offering wage replacement may extend the length of leave an individual takes, research and observed behavior around types of FMLA leave suggest that lengths of leave are related to the severity of a health condition, rather than whether it is paid or not. To estimate the average length of family leave in Montana we again referred to paid family leave program statistics in California and New Jersey and looked at the ratio of durations of leave compared to the total number of weeks offered (both states provide a total of 6 weeks worth of paid family leave). On average, workers in California took 5.37 weeks of family leave and workers in New Jersey took 5.1 weeks. We then estimated the duration that Montana workers would use the program for family leave based on this average ratio. We assume that on average, Montana workers taking family leave will use the program for 10.5 weeks out of a total of 12 maximum weeks. To estimate the average duration that individuals in Montana would take for medical leave, we examined the duration of leave of those who took medical leave under the FMLA, which provides a maximum of 12 weeks of unpaid leave. The majority of those who took FMLA for medical purposes did so for 7.8 weeks. Therefore, based on this same ratio, we assume that on average, individuals in Montana would use the program for medical leave for just under 8 weeks. In 2017, the average weekly wage benefit is estimated to be $571. However, since the weekly benefit is based on income, some individuals would receive more or less than $571 per week. The average benefit was determined by aggregating the number of total eligible Montanans in the state that would qualify for the program. Then we determined what the weekly benefit of each of these individuals would be based on their weekly earnings. Finally, we aggregating these total weekly earnings and took the average. This average amount is consistent with what California and New Jersey have experienced in their state programs. Two costs were calculated and aggregated to determine the total cost of the Montana program;  benefit payouts, and  administrative expenditures. Benefit payouts include both medical and family leave benefits and are based on the total eligible population in Montana, multiplied by the take-up rates associated with medical and family leave, multiplied by the average weekly benefit, and multiplied by the average leave of length associated with medical and family reasons. In 2017, a total of $55 million in benefits would be provided to workers who needed time off to recover from a serious illness or unrelated work injury. $19.3 million in benefits would be provided to individuals who need time off to bond with a new child or care for a seriously ill family member. In total, $74.3 million in benefits would be provided through the program. Estimating administrative costs for a paid family and medical leave program in Montana is difficult, because unlike California, New Jersey, and Rhode Island, Montana does not already have a temporary disability insurance program to build on top of. Since these three states already had this infrastructure, there were already technological, human capital, and tax collection systems in place that could be used to carry out the new family leave programs, which made implementation more efficient. When considering a new paid family and medical leave program in Montana we must consider the start-up costs needed to get the program up and operating, as well as ongoing administrative costs to run the program year to year. Since the proposed program would likely be administered through the Montana Department of Labor and Industry (DLI), similar to unemployment insurance, we looked at the Unemployment Insurance Division under DLI to calculate the number of people needed to process claims and administer the new program. In 2014, 149 full-time employees processed 80,000 unemployment insurance claims. This means that on average, DLI completed about 2 claims per day per division employee. Based on this, we estimate that in order to process almost 15,500 family and medical leave claims in 2017, DLI would need to hire 29 full time employees at a cost of $1.7 million. However, this may be a conservative estimate since unemployment insurance claims and appeals processes are more time consuming than they would be for a paid leave program. For example, individuals can file an unlimited number of unemployment insurance appeals with DLI, but if paid leave appeals could be limited it would reduce overall administrative costs. In 2007, Washington enacted a paid family leave program, and advocates and legislators in the state are now in the process of working to expand this law to include medical leave insurance. Washington is the first non-TDI state in the country to enact paid family leave, and we assumed the fiscal note attached to this proposed expansion legislation would yield some insight into what start-up costs might look like in Montana. Review of Washington’s fiscal note suggests that over the first three years there would be initial expenditures associated with training, maintenance, rulemaking, staff assistance, unemployment insurance consultants and other administrative needs. Based on these items and how many individuals would need to be hired for things like IT equipment, consultations, and legal aid, we assume that 6.67 percent of the total program expenditures would cover initial start-up costs, personnel costs, and other administrative needs over three years. Ongoing administrative costs were calculated based on fiscal notes attached to Colorado’s proposed paid family and medical leave program and Washington State’s expanded paid leave program. Both fiscal notes estimate start-up costs during the initial years of program implementation after which point, ongoing administrative costs will decrease. Based on these estimates, we assume that after three years, the total administrative expenditures will decrease to about 4 percent and ongoing operations will remain at this rate from year to year. Once the total program cost was calculated, we used the model to then determine how much total contributions would need to be generated to cover the cost of the program. The model estimated total contributions using the total number of employees paying into the insurance fund, the employee payroll tax set on their wages, and the taxable wage base. With a taxable wage base of $82,500, and a total annual shared contribution set at less than a half of one percent (0.459) on employees’ wages, the Montana Department of Labor and Industry would collect $79.2 million in revenue in 2017. [i] This is the final in a series of three reports on paid family and medical leave conducted by the Montana Budget and Policy Center in collaboration and consultation with the Montana Department of Labor and Industry and funded by a grant from the U.S. Department of Labor Women’s Bureau. [E} a period of incapacity that is permanent or long-term due to a condition for which treatment may not be effective or any absences to receive multiple treatments by, or a referral by, a health care provider for a treatment that would result in incapacity of more than 3 consecutive days if left untreated. Calculation based on model and on file with author. In 2017, a total of $19.3 million in family leave benefits would be paid and a total of $55 million in medical leave benefits would be paid out. Calculation based on model and on file with author. In 2017, employees will contribute a total of 0.459 of their total annual earnings up to the 82,500 taxable wage base into the program’s insurance pool. Washington State Legislature Website. Revised Code of Washington. Chapter 49.86.030. Eligibility for benefits. Accessed October 2015. http://apps.leg.wa.gov/RCW/default.aspx?cite=49.86.030. Calculation based on model and on file with author. Also see estimates for program utilization under methodology. Total eligible in Montana in 2017 is 441,809. Family leave take-up rate in 2017 is 0.73 (0.73 * 441,809 = 3,225 family leave claims). Medical leave take-up rate in 2017 is 2.80. (2.80 * 441,809 = 12,355 medical leave claims). Calculation based on model and on file with author. See estimates for duration of leave under methodology. Author’s calculation. 21,473/52 = $412.9 weekly wage. Author’s calculation. $21,473/52 total work weeks = $413 total weekly earnings. $413 * 55% wage replacement = $227 weekly wage. Calculation based on model and on file with author. See estimates under average weekly benefits in methodology. This is an average benefit calculated across all income categories, including low, moderate, and high-income earners. Calculation based on model and on file with author. This is total medical and family leave benefits paid out in 2017 and does not include administrative costs, which include expenditures for salaries, operating costs, start-up, and ongoing costs. A worker earning $40,000 a year would contribute a total annual contributions of $91.6 ($7.63 dollars a month; $1.90 per week) into the insurance pool. This assumes 40-hour work week and a total of 52 weeks of work per year. Calculation based on model and on file with author. In 2017, total program cost (administration costs and benefit payouts) would be $79.21 million. With a wage contributions set at 0.459 on all employees’ wages and a taxable wage base set at $82,500, the Montana Department of Labor and Industry would generate $79.28 million in revenue. Since the taxable wage base is set at $82,500, workers with earnings at or more than $82,500 are subject to the wage contribution on their earnings up until this threshold. (0.00229 x 82,500 = annual contribution of $189 or $15.74/month). $1,000 maximum weekly benefit is associated with the $82,500 taxable wage base. A worker earning $82,500 receives a weekly wage of $1,000. The model was built by Colorado Fiscal Institute. MBPC adjusted the model to reflect the program’s first year in 2017 and adjusted family leave and medical leave take-up rates to account for Montana-specific demographics. To compare demographics between Montana, California, and New Jersey, we used the American Community Survey 2013 (3-year estimates) Public Use Micro Data Sample for Montana, California, and New Jersey. We analyzed the proportion of those employed who had given birth in the last 12 months, the proportion of older workers (55 years or older), and the proportion of those working and reporting a disability. The American Community Survey Public Use Microdata Sample. 2013. 3-year estimates. Accessed October 2015. Family leave take-up rates from California and New Jersey program statistics. State of California Employment Development Department Website. Quick Statistics. Accessed October 2014. http://www.edd.ca.gov/about_edd/quick_statistics.htm. State of New Jersey Department of Labor and Workforce Development Website. Family Leave Insurance and Temporary Disability Leave Insurance Programs. Annual Report 2010. Division of Analysis and Evaluation. December 2011. http://lwd.dol.state.nj.us/labor/forms_pdfs/tdi/ANNUAL_FLI-TDI_REPORT_FOR_2010.pdf. Employment population in Montana from U.S. Census Bureau. American Community Survey, 3-year estimates (2004 in California and 2009 in New Jersey). Selected Employment Status. Calculation based on model and on file with author. Analyzed the proportion of total employed populations in California, New Jersey, and Montana and the proportion of employed who reported giving birth in the past 12 months. The American Community Survey Public Use Microdata Sample. 2013. 3-year estimates. Accessed October 2015. Medical leave take-up rates from California and New Jersey program statistics. State of California Employment Development Department Website. Quick Statistics. Accessed October 2014. http://www.edd.ca.gov/about_edd/quick_statistics.htm. State of New Jersey Department of Labor and Workforce Development Website. Family Leave Insurance and Temporary Disability Leave Insurance Programs. Annual Report 2010. Division of Analysis and Evaluation. December 2011. http://lwd.dol.state.nj.us/labor/forms_pdfs/tdi/ANNUAL_FLI-TDI_REPORT_FOR_2010.pdf. Calculation based on model and on file with author. Analyzed the proportion of total employed populations in California, New Jersey, and Montana and the proportion of employed who were 55 years or older or had a disability. The American Community Survey Public Use Microdata Sample. 2013. 3-year estimates. Accessed October 2015. Medical leave take-up rates from California and New Jersey program statistics. State of California Employment Development Department Website. Quick Statistics. Accessed October 2014. http://www.edd.ca.gov/about_edd/quick_statistics.htm. State of New Jersey Department of Labor and Workforce Development Website. Family Leave Insurance and Temporary Disability Leave Insurance Programs. Annual Report 2010. Division of Analysis and Evaluation. December 2011. http://lwd.dol.state.nj.us/labor/forms_pdfs/tdi/ANNUAL_FLI-TDI_REPORT_FOR_2010.pdf. Employment population in Montana from U.S. Census Bureau. American Community Survey, 3-year estimates (2006 in California and 2009 in New Jersey). Selected Employment Status. Calculation based on model and on file with author. State of California Employment Development Department Website. Quick Statistics. Accessed October 2014. http://www.edd.ca.gov/about_edd/quick_statistics.htm. Internal source on file with author used to determine first-year utilization in 2004, since this data is not available through program statistics. Average duration of family leave in California and New Jersey is 4.93 weeks out of total of 6. Ratio of duration to total maximum offered is 0.8725. If Montana provides total of 12 weeks, most will use it for 10.47 weeks (0.8725 * 12 weeks). Average duration of medical leave based on how many weeks people take medical leave under FMLA, which is 7.80 weeks. Family leave average duration. 5.37 weeks in California + 5.1 weeks in New Jersey/2 = 5.24 weeks. 5.24/6 total weeks = ratio of 0.8725; 0.8725 * 12 total weeks offered in Montana = 10.47 weeks. Calculation based on model and on file with author. 441,809 total eligible * .0280 = 12,335 total people taking medical leave in 2017; 12,335 * 7.80 average leave duration * $553 average weekly benefit = $53.3 million in total medical leave benefit payouts. Aggregate benefit payouts. $55 million medical benefits + $19.3 million family benefits = $74.3 million in total benefit payouts. In 2014, the Unemployment Insurance Division spent 7,996,743 on personal services. With 149 Average, the average salary is $53,669 per person. Assuming staff hired to process family and medical claims complete the same number of claims per day experienced as the Unemployment Insurance Division, there would need to be 29 staff members hired to complete 15,580 family and medical claims in 2017. Adjusting 2014 salary of 53,669 to reflect 2017 dollars is $57,796 * 29 = $1.7 million in salaries alone. Colorado General Assembly Website. Fiscal Note for SB 14-196 FAMLI Insurance Program. 2014 Legislative Session. Accessed October 2015. http://www.leg.state.co.us/CLICS/CLICS2014A/csl.nsf/BillFoldersAll?OpenFrameSet. Financial Management State of Washington Website. House Bill 1457 Fiscal Note. Accessed October 2015. https://fortress.wa.gov/ofm/fnspublic/legsearch.aspx?BillNumber=1457&SessionNumber=63. The Bureau of Labor Statistics. May 2014 State Occupational Employment and Wages Estimates Montana. Accessed October 2015. Calculation based on model and on file with author. In 2017, total program cost (administration costs and benefit payouts) would be $79.21 million. With a wage contribution set at 0.459 on all employees’ wages and a taxable wage base set at $82,500, the Montana Department of Labor and Industry would generate $79.28 million in revenue.